Step It Up Challenge: We’re almost to the first goal! 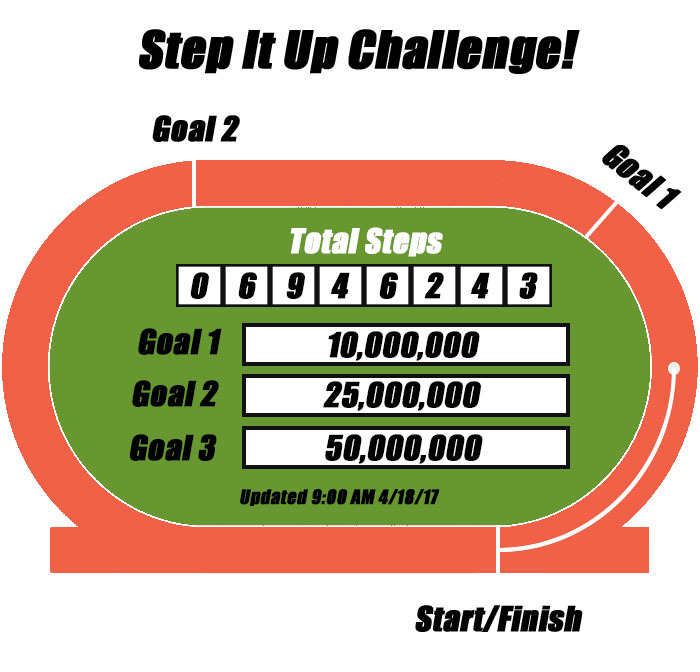 The campus has almost reached its first goal in the Step It Up Challenge! Currently, we are at 70 percent of our first goal: 10 million steps. We need your help getting there, so make sure you are logging your steps and get your coworkers to take part. If you are active but not getting your 10,000 steps a day, click here and look for the activity conversion. Don’t forget to log your steps here!